OUR PARTNERS LOVE 39 STEPS AND WE LOVE THEM. 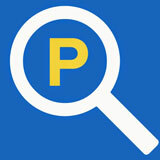 ParkWhiz works with over 400 NYC Parking locations to allow drivers to find and book parking in advance, and guarantees a spot to be waiting for their arrival. Our next-door neighbor on 17th Street, The New York Film Academy is a leading film and acting school with locations all across the globe. They offer degree programs and short-term workshops in acting, film, animation, broadcast journalism, cinematography, digital editing, directing, documentary filmmaking, game design, graphic design, illustration, musical theatre, photography, producing and screenwriting. The Academy was founded on the philosophy of "learning by doing" and have hosted such industry experts as Steven Spielberg, Martin Scorsese, Al Pacino, and Robert Downey Jr. just to name a few. Miss O & Friends is a 100% safe COPPA compliant and CARU approved socialization site for tween & young teen girls to be themselves & just be girls. We're a place to socialize with friends, get the daily scoop from our girl bloggers, play games, create, enter contests, win prizes, take quizzes, get advice and have a whole bunch of fun doing the things girls love. The site connects with girls in a fresh and authentic voice because it's the girls who are taking the lead and who have built a community of girls who offer advice and support to one another while also having fun and talking about everything in the "girl world." Through our website and stories we promote self-confidence, positive self-esteem, and wholesome values. It represents the hope, spirit & experience of this niche demographic because it is conceived, evolved by and co-managed by young girls, ... and that's why Miss O Helps Make it (being a tween) Better! Located across from the Union Square Theatre, on the ground floor of W New York – Union Square (201 Park Ave. South; at 17th Street), Irvington offers a Mediterranean-influenced menu of New American classics highlighting fresh, locally-sourced ingredients from the neighboring Union Square Greenmarket. Chef David Nichols’ seasonally-driven menu emphasizes locally-sourced ingredients and simple and straightforward presentations, featuring thoughtfully curated small plates, artisan flatbreads, house made pastas, and a variety of freshly-roasted rotisserie items. Irvington also features an innovative bar program of classic, modern and retro-inspired cocktails, modestly priced wine offerings, small-batch spirits, and regionally brewed craft beers. Show your 39 Steps ticket or that you've posted a #nosie (selfie wearing your red nosie) when you arrive before or after the show to receive a complimentary glass of sparkling wine with the purchase of an appetizer or dessert. • Offering one dessert of your choice per table when you show your 39 Steps red nose and tweet @39stepsny or post a #nosie photo with your red nose on facebook.com/39stepsny. 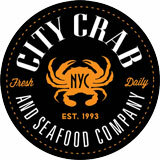 City Crab’s two-level dining room features one of the largest raw bars anywhere, providing our guests with nothing but the freshest, finest “just caught” fish and seafood you’ll find. Receive a 15% discount when you wear your 39 Steps red nose and show that you've tweeted @39stepsny or posted a #nosie#39stepsny on our Facebook page /39stepsny. When the same ‘ol thing just isn’t enough! Big Daddy’s has you covered. A hip, funky 80’s inspired dinging experience will leave you humming your favorite tune with a full belly and a smile. Everyone loves Duke’s…and you will too! Come on in to Duke’s Original Roadhouse where we pride ourselves on delicious, huge-portioned meals, and fast, friendly service in a rocking atmosphere where you’ll feel right at home. 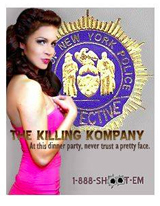 Welcome to The Killing Kompany and the world of interactive audience participation murder mystery dinner theatre shows, where, for over 21 years, professional Broadway, TV and film actors are seated among you and at any time you may wind up part of the plot! In addition to our NY/NJ shows, which are open to the public, we also custom create private events around the country. Mention 39 Steps and receive a 10% discount on any private event booked. Alfred Hitchcock remains the most written about and, arguably, the most influential of filmmakers. Yet little attention has been given to the many writers who worked with Hitchcock throughout his career. Author Steven DeRosa explores the relationship between Hitchcock and his most frequent writing collaborator in Hollywood, John Michael Hayes, the screenwriter behind Rear Window, To Catch a Thief and more. The world’s most unique costume store, located in the heart of New York City - Offering the best costumes, accessories and more! 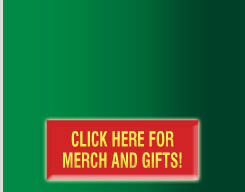 Receive 10% discount when you show or wear your 39 Steps red nose! As the door locks, you and your team will have one hour to uncover the secrets of the room to escape. Mystery Room NYC is a real life room escape game that provides a mentally stimulating interactive experience perfect for birthdays, team building events and more! Book your escape today at www.MysteryRoomNYC.com! Tag @39stepsny and @mysteryroomnyc on Twitter or Instagram with your #nosie and receive a private message with a special 10% discount! Founded and directed by a Pulitzer Prize winner, The Writers Studio has been quietly helping poets and fiction writers publish and win awards for 28 years.